What better way is there to begin your weekend sipping cocktails on a Friday night? So, that's what we did at the invite of Beverage Director Peter Szigeti at Committee who has whipped up some new concoctions to embrace the Fall. I began with the Nice Plum Where Ya' From? 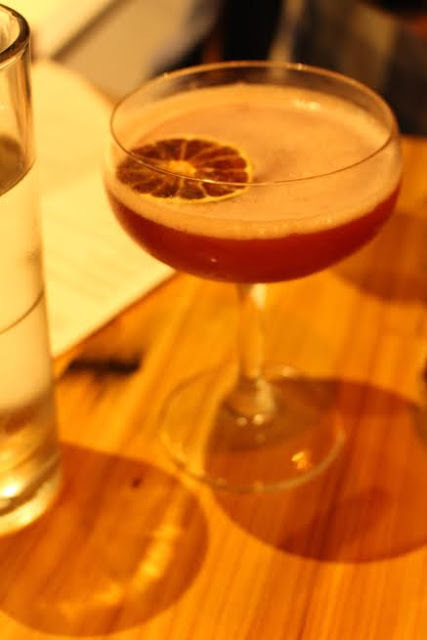 Dos Madera rum, fresh lime juice, maple syrup, dark red plum. I've never had a drink with such a prominent plum flavor. Light on the rum, smooth, refreshing and unique without being forced, I loved it. My long week was already becoming a faded memory. Next up was the very creative Burnt Forest: bourbon, dark chocolate, sour cherry, lime, cinnamon, and ginger. Sounds complicated but it worked. The tongue searched for the slight hint of chocolate, the bourbon released and the cinnamon stick swirled into the tall glass added yet another depth to the taste. This is a sipper worthy of tasting all of the levels. And, of course, there were also those snacks, the Mediterranean meze that the place is famous for. 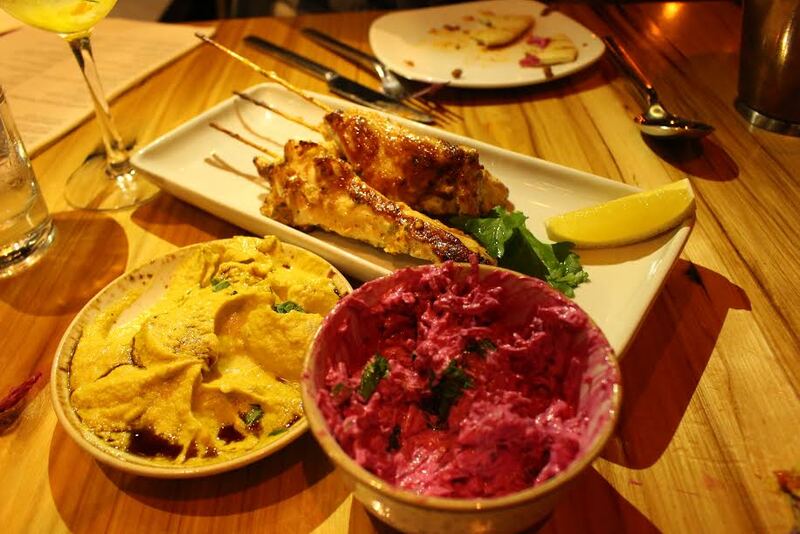 The North African style Hummus with mashed chickpea and baharat, The colorful Beet Tzatziki (new on the menu) and the excellent Yogurt Marinated Chicken Skewers, tender and moist. The Spanakopita was good, too, crispy little triangles of spinach and feta in phyllo dough done well and Lamahjun with a copious amount of ground lamb although we prefer a crispier crust, a smear of lamb pressed in. Scene: Lots of thirty-something sippers eager to start the weekend, older Seaport curiosity-seekers, single ladies, work-friend groups, double-date couples lounging on the comfy leather waiting to dine on shared plates. Perfect for: The full range, cowboy boots to designer dresses, more fun, less romantically intimate, nice first date spot. 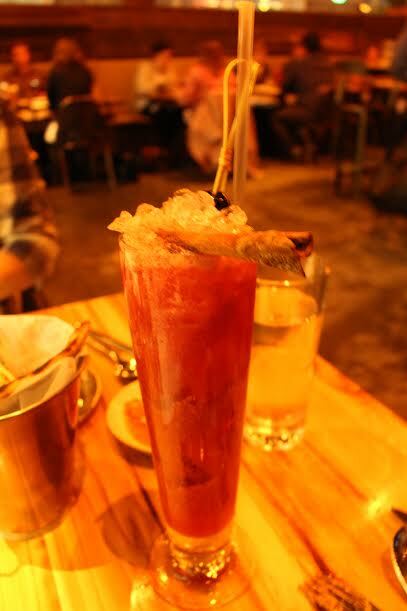 Favorite things: Really interesting drinks, lively crowd, just steps away from the ICA. What we'd tell a friend: Go for an interesting drink and two shared plates. Buzz out to the mellow 80's soundtrack and just relax. It's a nice spot to visit before or after the main event.